Playing the Q It's hip to be square this weekend at the annual National School Scrabble Competition in Providence, R.I., where middle schoolers are facing off. The team that makes the highest play using the letter Q wins a signed Shaquille O'Neal basketball jersey. Two-player teams compete this weekend at the annual National School Scrabble Competition in Providence, R.I. The finals are on Saturday. Watch a YouTube video of Shaquille O'Neal playing Scrabble by his own rules. Katerina and Evaglia Toffoloni, twins from Buckingham Brown Nichols Middle School in Cambridge, Mass., strategize during the competition. 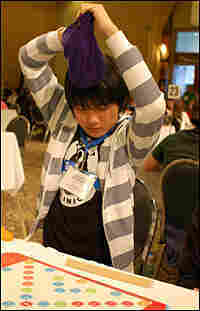 Eric Liu from Grisham Middle School in Austin, Texas, grabs his next seven tiles. It's hip to be square this weekend at the annual National School Scrabble Competition in Providence, R.I., where fifth- through eighth-graders are facing off in a two-on-two version of the board game. First prize is $10,000 — and "Q" is definitely the hot letter at the tournament, which kicks off tonight. The team that makes the best play using a Q gets an extra prize from basketball star Shaquille O'Neal: The Phoenix Suns have donated one of his jerseys. In a recent ESPN promotional video, O'Neal was featured playing scrabble — and playing very much by his own rules. "How did you get so many Q's?" asks one of his opponents. "Don't worry about it," says the 7-foot-tall center, with a menacing look. 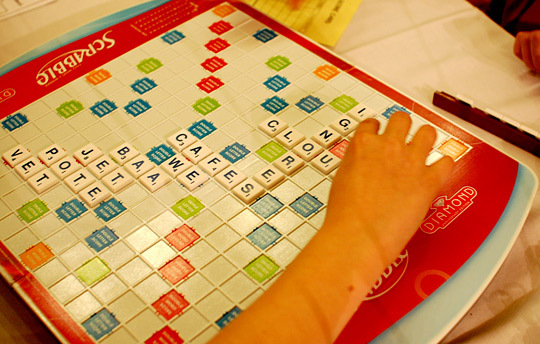 But in a letter to this weekend's players, Shaq extols Scrabble's intellectual virtues. The competitors, he says, are "showing kids everywhere that it's cool to be smart and use your brain. That it's possible to win money, appear on television and have fun in all kinds of ways." Even President Obama, himself a Scrabble player, sent the competitors a letter of support. "My family and I know from experience that Scrabble requires creativity, finesse, and, most importantly, a love of learning and language. I know that passion is within each of you, and I hope it inspires all of your life's endeavors," the president wrote. "I anticipate excitement, positive competition, nail-biting cliffhangers and, of course, many triple-word scores," the letter read. "I wish you all the best of luck, and hope you have fun throughout the tournament." All Things Considered contributor Stefan Fatsis was at the tournament coaching four sixth-graders from Janney Elementary School in Washington, D.C. They're part of a Scrabble Club that Fatsis started at the school. "We get 20 to 30 kids playing Scrabble after school once a week," Fatsis says. "It helps kids with spelling, math, spatial thinking, and it's a blast." The two-on-two team competition, which is different than rated tournament play, also encourages cooperation and reduces pressure on individual players. Playing Scrabble does involve some preparation. 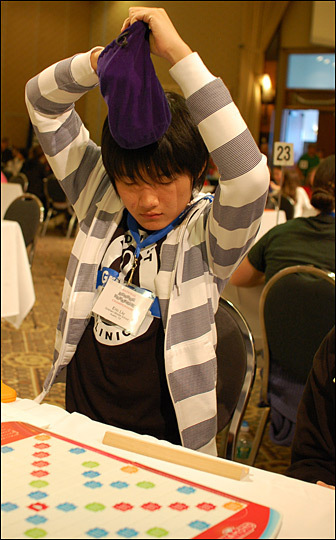 It's not the intense kind of drilling that's typical for students who compete in spelling bees. But the children who play do have to know the basics: all 101 two-letter words, for instance, and the Q words that don't need a U. Memorizing the most common seven-letter words is another tactic. 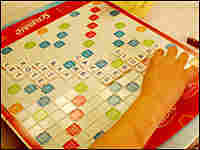 Many of the students play Scrabble online and some have even played in adult tournaments at the top levels. 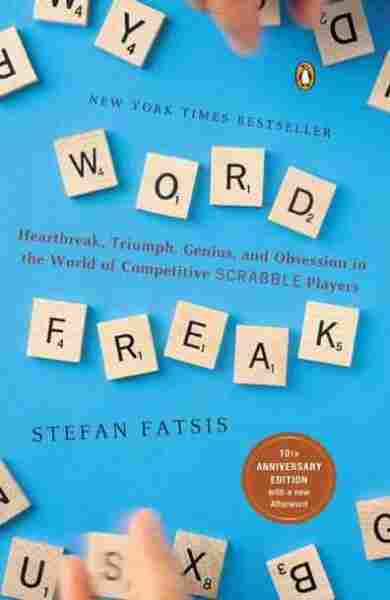 "I'm biased," says Fatsis, who is also the author of Word Freak: Heartbreak, Triumph, Genius, and Obsession in the World of Competitive Scrabble Players. "But I think memorizing words you may never use in a sentence — which you have to do to play Scrabble — is a healthy way to learn about strategy and competition and the beauty and wonder of the English language."